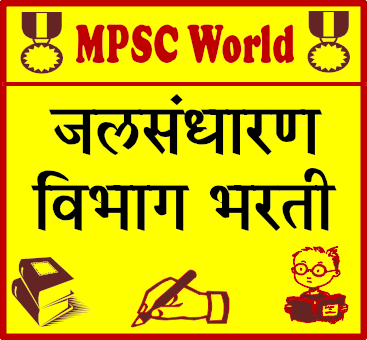 Jalsandharan Vibhag Bharti is started by Jalsandharan Vibhag, Maharashtra (wcd.maharashtra.gov.in). Jalsandharan Vibhag Bharti is going to conduct under Maharashtra Mega Bharti. Maharashtra government officially declares about “Maharashtra Mega Bharti” before some days. In the Mega Bharti, There are many departments for which recruitment process will start and these departments come under Zilla Parishad. Jalsandharan Vibhag is also one of the departments for which this Mega Bharti conducting in Maharashtra. In Jalsandharan Vibhag Recruitment, for total 2423 posts inviting to fill the online application form. This recruitment conducting for Group “B” and Group “C” level posts. Here we will update you everything about Jalsandharan Vibhag Recruitment 2019. ➡ औरंगाबाद जिल्ह्यासाठी जलसंधारण विभाग भरती जाहीर झाली आहे. बघण्यासाठी येथे क्लिक करा. महाराष्ट्र जलसंधारण विभागात मेगा भरती अंतर्गत भरती सुरु झाली आहे. फेब्रुवारी 2019 मध्ये परीक्षा होईल. या भरतीविषयी सर्व माहिती या ठिकाणी Update करण्यात येईल. धन्यवाद. Jalsandharan Vibhag Recruitment is going to conduct in all districts of Maharashtra. Here we are providing all the details regarding Jalsandharan Vibhag Bharti of all districts. Bharti process is still pending in many districts, so there is no link given below regarding pending districts. We will update here when any other district published notification regarding Jalsandharan Vibhag Bharti. Please check below links of your respective district. As we already posted about total vacancies in Jalsandharan Vibhag Recruitment i.e. 2423 Posts are going to recruit in this Mega Bharti. Below are some highlights of this recruitment. In the Jalsandharan Vibhag exam, Overall 25% of the syllabus is on History And Geography of applicants district. So you have to study well about history and geography of your own district. Also, Jalsandharan Vibhag exam will be conducted on the same day in the whole Maharashtra.